The artifacts in the lobby of American Textile Co.’s facility in Duquesne show that in this family-owned business, innovation is as important as tradition. A portrait of Charles Ruttenberg, who founded the company in 1925, hangs alongside a blueprint for a cloth ironing board cover, which American Textile patented and produced 10 years later. 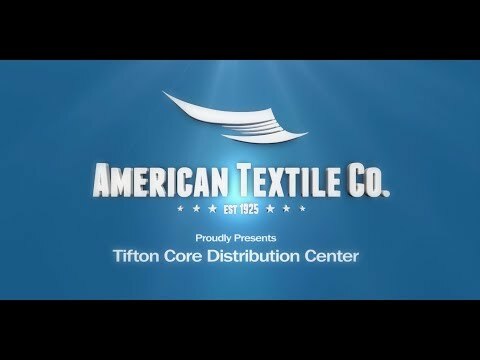 In its 92 years in business, American Textile Co. hasn’t made a single acquisition. But that’s not to say the bedding manufacturer hasn’t grown. DUQUESNE, PA – December 19, 2017 – American Textile Company welcomed two scholars from The Pittsburgh Promise to it’s Pittsburgh headquarters in December. Pittsburgh, PA. – September 13, 2017 – American Textile Company has announced an exclusive licensing relationship with Tempur Sealy International, Inc. for all Sealy-branded pillows, mattress pads, and comforters filled with polyester fiber or natural feathers and down. They will develop, manufacture, and sell the expanded portfolio beginning April 1, 2018. DUQUESNE, Pa. – May 16, 2017 – Bedding manufacturer American Textile Co. today announced a series of new hires and promotions to support its growing operations and expanding brand portfolio. American Textile Co.’s use of third party trademarks is under written permission of the applicable trademark owner.